I come from a long line of skilled soup makers. In the late 1800s, my great-grandmother Enrichetta Cavagnolo, newly arrived from northern Italy, was a soup chef at Delmonico’s in New York City. Enrichetta’s daughter and granddaughters (my grandmother, mother, and aunts) were talented soup makers as well, to the delight of our well-fed family. But the soup-making gene seemed to skip me. I was never interested in boiling bones for broth, chopping mounds of vegetables, and stirring soup — with love — for hours. It was too much fuss, I thought — until I learned the shortcut. Turns out, making a delicious batch of soup doesn’t require homemade bone broth or all-day simmering. Just boil your favorite vegetables and spices in some water and low-sodium (store-bought) soup stock. There’s no right or wrong combo of ingredients; it’s whatever appeals to you. Want a small batch? Use two cups of liquid. Want a big batch? Use four. Add more liquid to make it soupier, or less liquid to make a stew. Boil, add the ingredients, and you’re in business in about 20-30 minutes. It’s also easy to go a step further, and make soup a complete meal. “Add protein such as lentils or beans, fish, extra-lean beef, turkey, or chicken,” says registered dietitian Kathy McManus, director of the Department of Nutrition at Harvard-affiliated Brigham and Women’s Hospital. She recommends increasing the nutrient power and fiber by adding as many vegetables as possible, such as peppers, asparagus, broccoli, spinach, onions, and carrots. Saturated fat. Any soup with a cream base, such as cream of tomato, is made with cream and butter, which contain unhealthy saturated fat. Too much saturated fat in your diet may drive up your cholesterol and lead to blockages in arteries. Sodium. Canned soups often contain high amounts of sodium. Too much sodium in your diet can lead to high blood pressure, heart attack, stroke, and heart failure. Federal guidelines limit sodium intake to 2,300 mg per day for most people. Sugar. Added sugar is found in chilled fruit soups and even some vegetable soups. The American Heart Association recommends limiting added sugars to no more than 24 grams per day for women and 36 grams for men. Calories. Soups are generally lower in calories than other entrée choices, but that changes when you top soup with cheese, sour cream, or croutons, or pair it with a piece of bread. It’ll take some detective work to stick to those limits and find healthier prepared soups. Look at the nutrition information on a restaurant’s menu or website, or on a product’s Nutrition Facts label. If it’s too much work to hunt down healthy soups, then consider making the soup from scratch, like I do now. 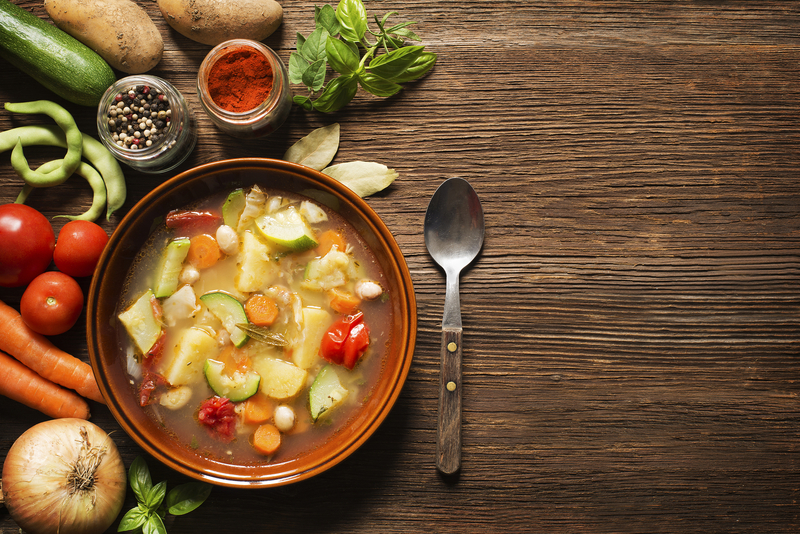 You’ll find some healthy soup recipes to get you started here. You can control the ingredients, and you can give it your own special flair. And trust me, it doesn’t take a soup-making pedigree to be good at it. Prepackaged soups are better avoided than consumed. Nothing beats some good home made chicken soup to get rid of the cold. That’s really a great recipe for soup. After reading this article,I have successfully made one.